This charming holiday apartment will give you the opportunity to enjoy the sun and a lovely sea view throughout your stay in Corsica. This charming holiday apartment will give you the opportunity to enjoy the sun and a lovely sea view throughout your stay in Corsica. Located on the 2nd floor (without elevator) of a pretty residence, it is only 60m away from the sandy beach of the Trottel and 500m from the center of Ajaccio. You can easily indulge in the joys of swimming and water activities, sailing and jet-skiing. Discover this beautiful historic city and stroll through the old town or the harbor. The Napoleon Bonaparte Museum is 500m away. A must see, the Pointe de Parata (9km). The Corsican gastronomy will delight you and a restaurant located right in front of the residence offers menus with specialties of the local fishing. To remain fit, you can take your clubs to pace the greens of the 9-hole golf course of Porticcio (18km). Thanks to this charming holiday rental, you will spend a sunny and relaxing stay on the Island of Beauty. Light vis-à-vis on the terrace. This solidly constructed apartment was originally built in 1980 and refurbished in 2017. The agent has rated it as a three star property so it is a well-kept apartment, equipped with standard furniture. It is also good value for money. 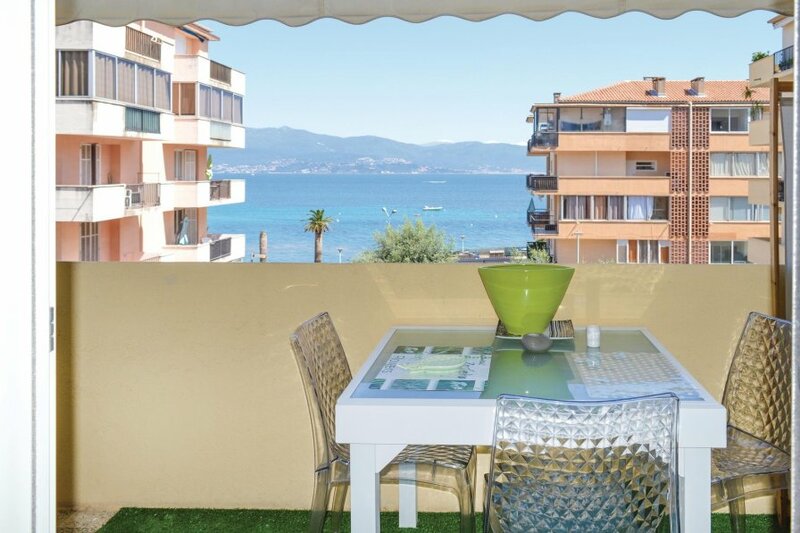 This apartment has beautiful panoramic view over water and is located in Ajaccio, only 13km from Porticcio. It is set in a very convenient location, just 60 metres away from a sandy beach. There's also a restaurant only 100 metres away.